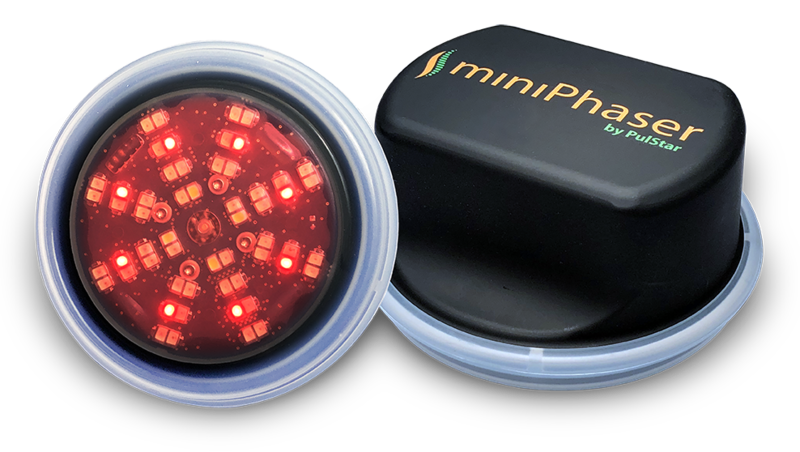 As a compliment to manual therapy, the miniPhaser™ uses deep muscle stimulation in-phase with light therapy. Unique and easy to use for treatment of many musculoskeletal conditions. Mechanical and light stimulation of sensors in the muscle (Golgi tendon complex and muscle spindles) to create muscle relaxation as well as mechanical flushing of the lymphatic system to eliminate toxins. Stimulation is coupled with supplementation of elemental electrolytes to ensure adequate levels for the proper operation of the calcium pump. Your PulStar doctor may locate points or areas of muscle tightness that are candidates for treatment. After connecting via bluetooth to the miniPhaser, you can select different intensities for the vibration and phased light therapy and set the duration of the treatment as well right from the front screen. The app will automatically turn the miniPhaser off when the time has elapsed. You can also set reminders so you know exactly when it’s time to treat again. View your usage of the miniPhaser from the history tab. 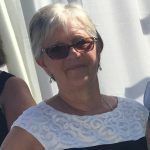 Click here to read Carrie’s full testimonial, which includes a 3-month follow-up of her condition.